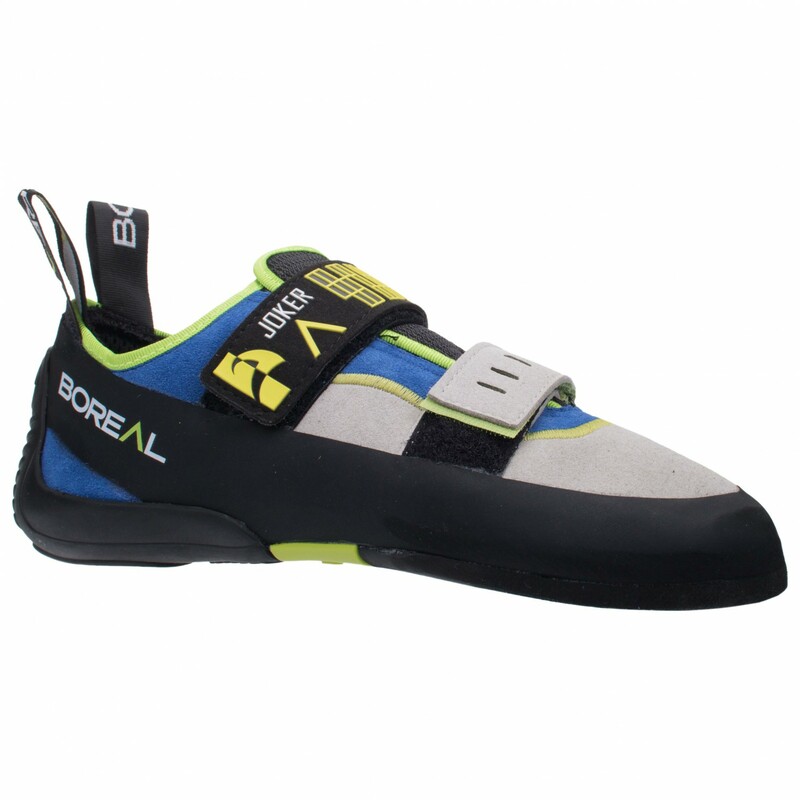 Regardless of whether you're planning on taking your first climbing lessons or just going bouldering, the Boreal Joker is a superbly comfortable shoe for beginners and long training sessions. Its slipper-like construction with two hook-and-loop fasteners and the relatively symmetrical last will make the shoe comfortable to wear for longer periods. 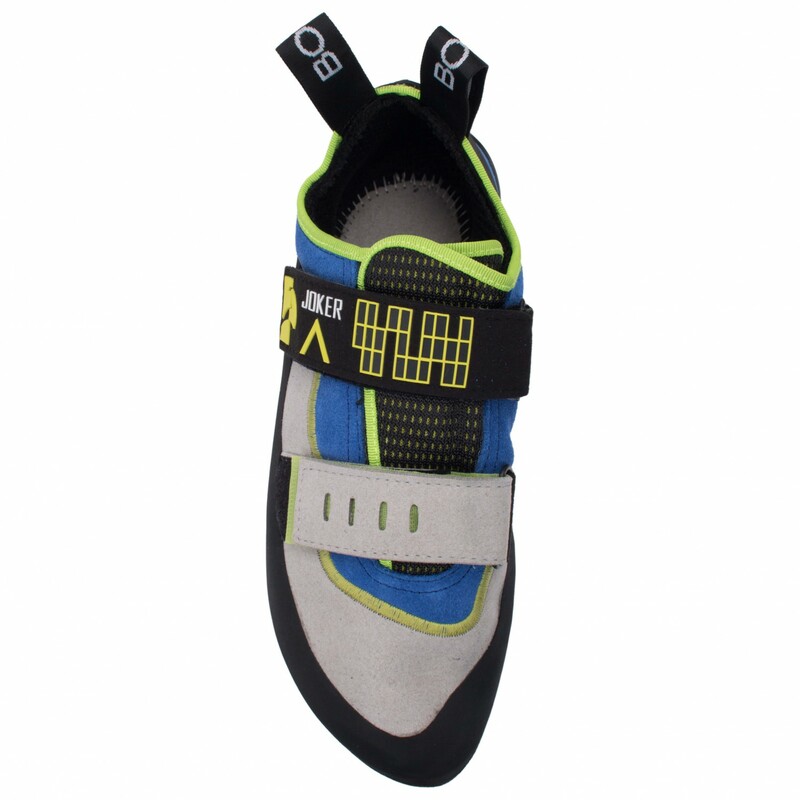 Thus, you can wear the climbing shoe in the size you would your casual shoes. 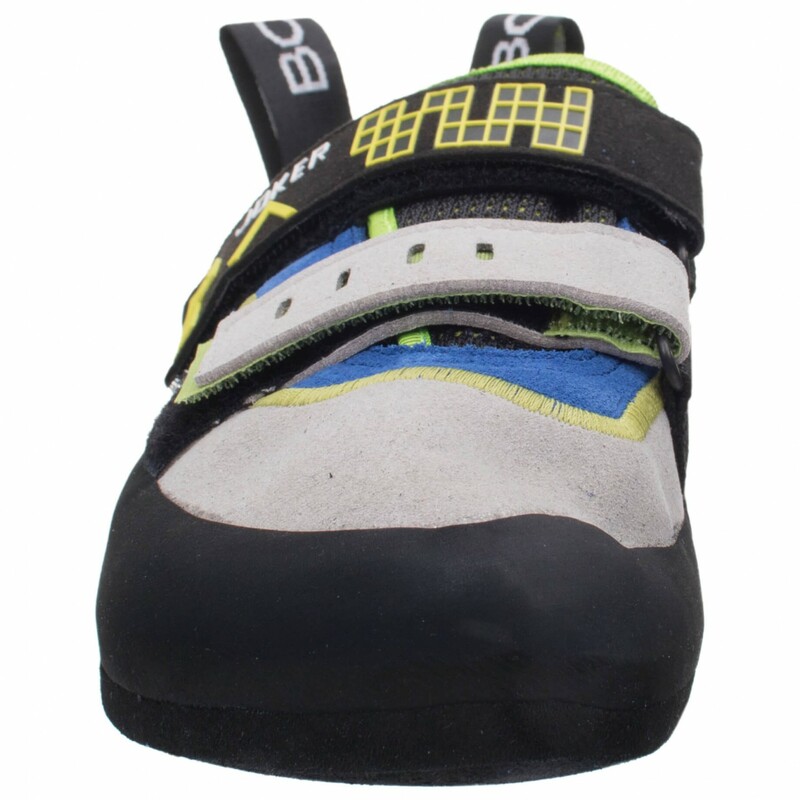 Plus, with its half stiff midsole, you'll have enough surefootedness when climbing. 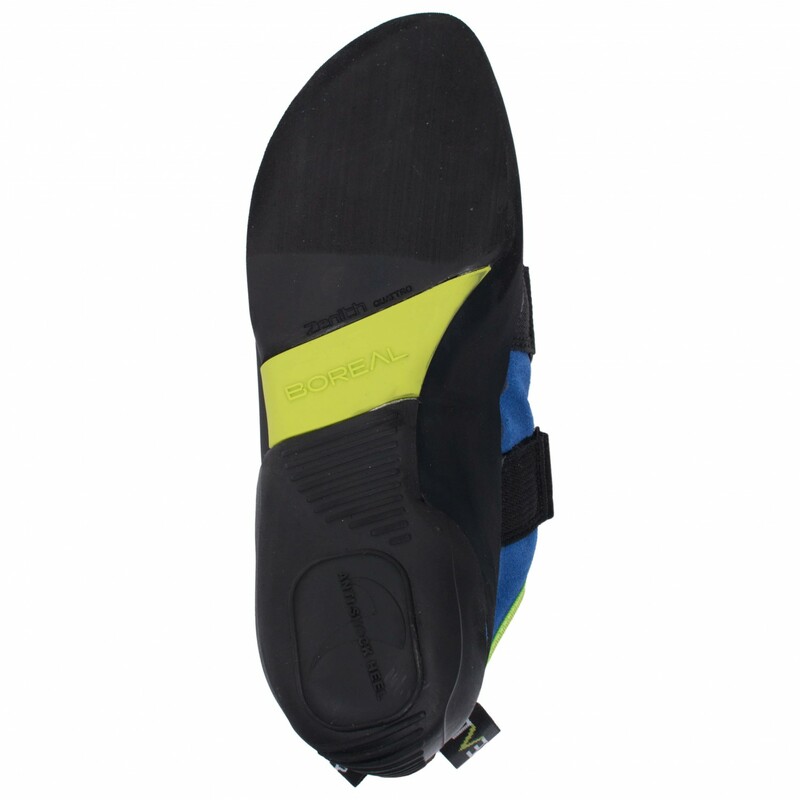 The upper is made of split and synthetic leather with mesh lining. This allows for improved breathability in the shoe. 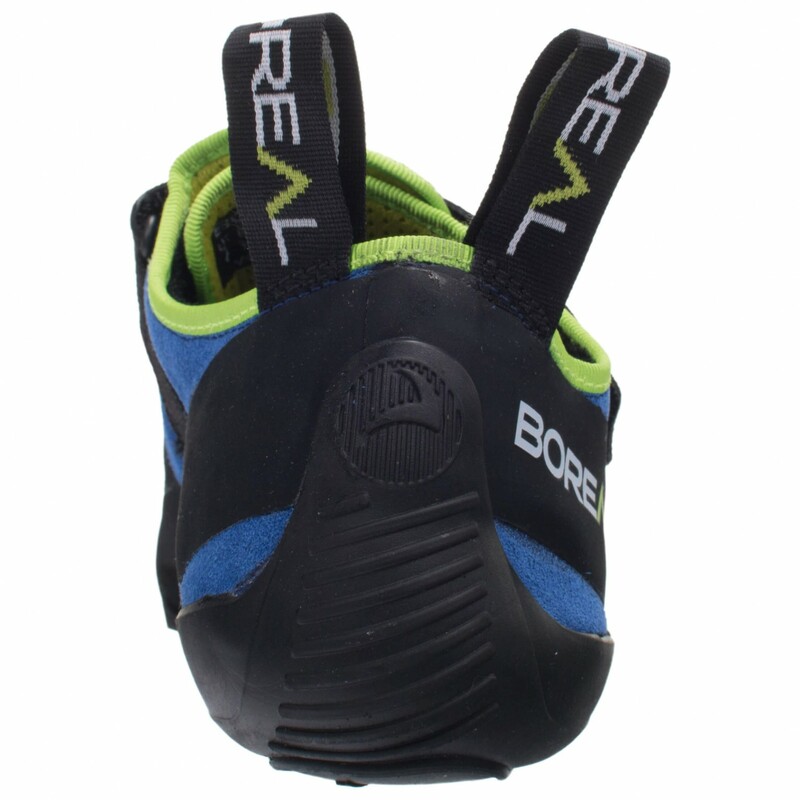 The CMS pad at the heel increases the overall cushioning of the shoe, which is definitely a welcome feature amongst beginners. You can't go wrong with the Boreal Joker. Quite on the contrary! 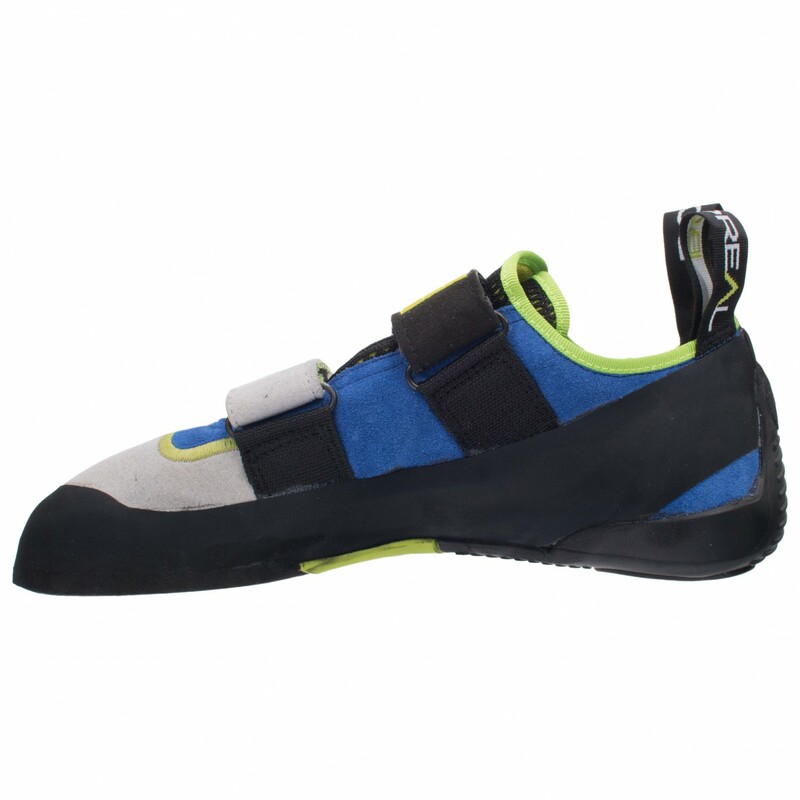 You'll get quite the versatile climbing shoe that is great for both shorter sessions and longer climbing routes.